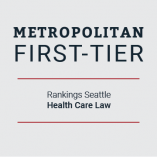 Seattle Health Care Law Firm | Bennett Bigelow & Leedom P.S. At Bennett Bigelow & Leedom, we start with the end in mind. Our team is committed to earning your trust, gaining your admiration and achieving the best outcome for your individual needs. The best solutions are those tailored to the specific facts of your case. BB&L’s attorneys strive for inventive solutions to complex problems. BB&L has been serving the healthcare community for more than 30 years. We have the skills, connections and experience to handle even the most sensitive cases. We are here to answer your questions and to protect your interests. To accomplish that, BB&L works with you and your schedule. We Deliver on Health Care. If you’re a healthcare provider in need of representation, you need a trusted law firm that speaks your language and understands the ins and outs of the healthcare system. 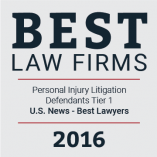 At Bennett Bigelow & Leedom, you will find a recognized leader in healthcare law and an award-winning law firm. That’s why we’re a top choice among physicians, hospitals, nursing facilities, product manufacturers and academic medical centers across the Northwest and beyond. We have attorneys licensed to practice in Washington, Oregon, Idaho, California, and Massachusetts, and have offices in Seattle and Spokane. By cultivating an in-depth knowledge of the healthcare industry, we are able to understand the needs of our clients and deliver the best results for each unique situation. A law firm committed to diversity and inclusion, with an equal number of men and women owners, Bennett Bigelow & Leedom brings a wide spectrum of personal experiences and backgrounds to each engagement. We apply a teamwork model to every case, so we’re able to provide our clients with efficient, effective, and experienced legal representation on a wide range of litigation issues. 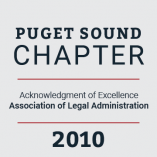 Our attorneys are regularly honored with the highest levels of recognition by organizations like US News and World Report, Best Lawyers, and Super Lawyers (and are selected to such lists as: Top 100 Lawyers in Washington State, Top 50 Lawyers in Washington State, and Rising Stars). We are nationally recognized in medical malpractice defense, successfully representing a variety of clients through all phases of litigation. Our litigation attorneys have proven experience across a wide range of practice areas, including employment, products liability and appellate practice. Our firm provides a full range of legal services in areas such as insurance coverage disputes and insurance bad faith litigation. In addition to the legal issues facing any business, healthcare professionals and facilities must also comply with the licensing requirements and regulations of the Department of Health in their respective states. For the individual provider, failures to comply can result in investigations and disciplinary action. Our varied expertise allows us to meet the specific needs of our clients, from health professionals and organizations to academic medical centers and tax-exempt organizations. Our attorneys have obtained hundreds of defense verdicts against claims of medical malpractice. The best resolutions often arise before trial, either in the form of summary dismissal of the claims against our clients or through favorable settlements. However, when trial is necessary, Bennett Bigelow & Leedom is an experienced firm with a proven history of results. Here is a sampling of some of our recent successes. Our attorneys are regularly honored by organizations like US News and World Report, Best Lawyers, and Super Lawyers (and are selected to such lists as: Top 100 Lawyers in Washington State, Top 50 Lawyers in Washington State, and Rising Stars).